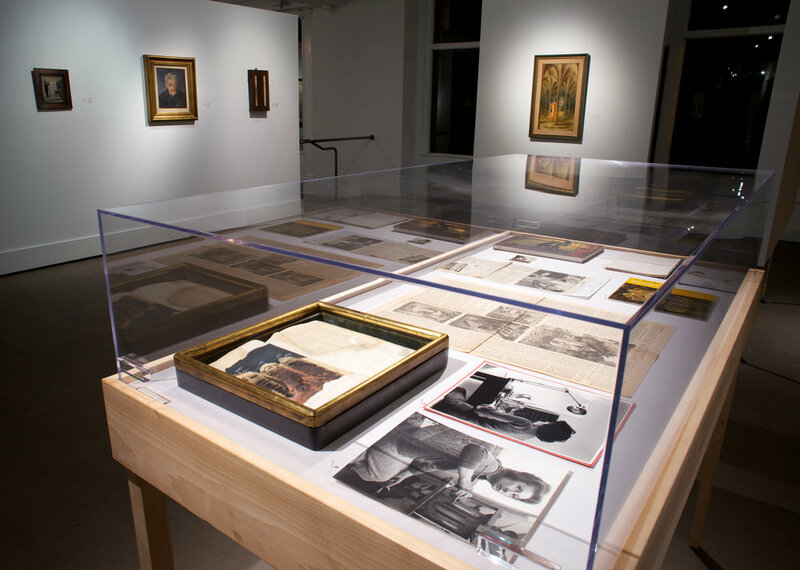 San Francisco — Nearly eight years in the making, Frey Norris proudly presents Remedios Varo: Indelible Fables. This exhibition marks the artist’s first solo show in a gallery since 1962, the year preceding her death. The exhibition will include fifteen works, including oil paintings, drawings, objects and ephemera. With the generous support of the Spanish Consulate of San Francisco, Frey Norris will convene a roundtable discussion on Varo’s art and life, moderated by Jeanne Carstensen, Executive Managing Editor of The Bay Citizen and contributor to the New York Times. Distinguished panelists will travel from museums and institutions from the United States, Mexico (Varo’s adoptive country) and Spain (her country of birth). Of the fifteen works in the exhibition, the most impressive is undoubtedly Bordando el Manto Terrestre (Embroidering the Earth’s Mantle) (1961). Bordando…is the centerpiece of a triptych that was curiously sold to three separate collectors during Varo last gallery exhibition, at Galeria Juan Martin in Mexico City. This piece, her largest painting, continues a tale of women who are carted off to a factory where they are embroidering a new vision for the world. These women, perhaps trapped in the depicted tower, appear to be losing themselves in the monotonous and demanding task of sewing, while a musician and a reader entertain and command the goings on (as if in a Soviet factory). The scene is a curious mixture of the medieval and mid-twentieth century. The women, however, find redemption and a kind of liberation as they remake the world, literally weaving a feminist future where one man and one woman co-exist in a state of utopian equality. The third panel of this triptych, not in the Frey Norris show, more graphically fleshes out this happy outcome. This is the first time that Embroidering the Earth’s Mantle has been on view anywhere since it was originally acquired by a private collector in 1962. The gallery also features Portrait of Dr. Ignacio Chavez (1957), the cover of the most recent monograph on Varo entitled The Five Keys to the Secret World of Remedios Varo (2008). This painting, a portrait of a famous Mexican cardiac surgeon, figures Dr. Chavez, and what appears to be the artist herself; the doctor uses a key to literally unlock the artist’s heart. Other figures awaiting the same treatment and connected by filaments to the stars stand in line behind her. Eerily, Varo ultimately died of a sudden and massive heart attack and this painting is today considered one of her most important. Simultaneous to Indelible Fables at Frey Norris, LACMA will host In Wonderland: The Surrealist Adventures of Women Artists in Mexico and the United States, opening on January 29th and running through May 6, 2012, in Los Angeles. This exhibition prominently features many of Varo’s paintings and will travel to the Musée National des Beaux-Arts du Québec and El Museo de Arte Moderno in Mexico City. In cooperation with the Consulate General of Spain, Frey Norris will host a private invitation-only performance art dinner. Inspired by a Surrealist cookbook, authored and illustrated by Remedios Varo and artist friend Leonora Carrington, this interactive feast on the night of the opening will engage all five senses, conceived and executed by artist collaborators Julio Cesar Morales and Max La Riviere-Hedrick. A 60-page catalogue is available with an introduction by Wendi Norris and Raman Frey and an essay by Terri Geis, curator of academic programs at the Pomona College Museum of Art. Terri previously served as a researcher at the Los Angeles County Museum of Art, where she worked on the exhibition In Wonderland: The Surrealist Adventures of Women Artists in Mexico and the United States (2012).